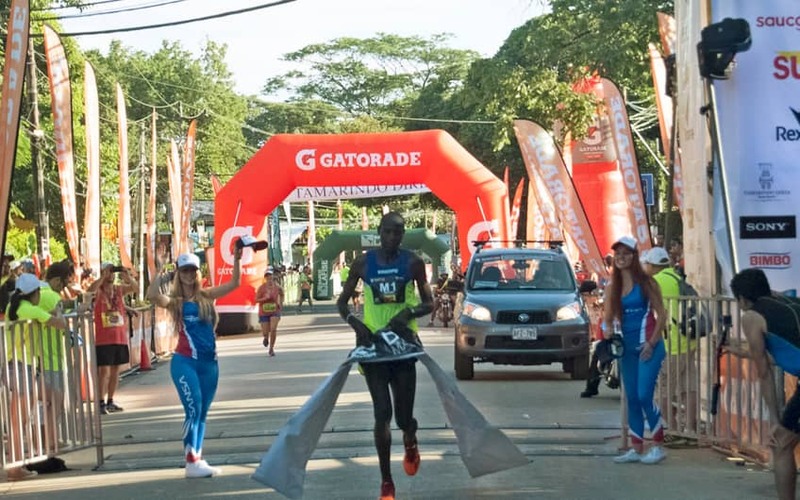 One of the most anticipated events of the Costa Rica’s athletics calendar will take place at dawn this Saturday: the Tamarindo Beach Marathon. With a record participation in the distance of 42 kilometers, this edition of the international famous competition is expecting more athletes this year than those who participated in previous years. And I say festive because this race is the way both the most experienced athletes and the amateur ones celebrate their effort and compromise with their trainings, as it is a really challenging competition. The good vibes can be felt in the area since today, as the visitors are arriving and looking for a good acclimatization previous their debut in the race. And both, runners and companions take advantage to enjoy the good atmosphere of the area with its well-known nightlife and the natural beauty of the landscape. Warm sea waters, warm sand, great sun, and cool people in the surroundings are elements that cannot be ignored while staying in Tamarindo. You need to visit Costa Rica to really understand what I’m talking about! And, if you are already in Costa Rica, then don’t forget to visit Tamarindo this weekend, you will enjoy a great ambiance and surely come back home with a different experience to tell to your family and friends about your Costa Rica vacations! Well, but back to the race, the Tamarindo Beach Marathon consists in four different distances, for the delight, enjoyment and aptitude of all and each one of the participants. Then, the organization opened the distances of 10, 21 (half marathon), 30 and 42 (marathon) kilometers. In addition, this year’s race will deliver a bag of $17 thousand dollars among the winners of each distance and category. "This year 3,200 registrations were opened, and taking into account those who do it without registration there will be about 3,600 people running in Tamarindo this September 16th. This is a fairly large number of competitors, which shows the growth the event has had in a year, and also that the long distances are now of greater interest for athletes," said Víctor López of Global Sport Group, the ones in charge of the event. For this new edition, the organizers made the decision to vary the start time, in order to have a better show and thinking in better conditions for the participants. And also in order to avoid – or decrease - the tough conditions for the participants and the inconveniences caused because of the high temperatures in the area. "One of the main news is that at 4:00 a.m., the distances of 21, 30 and 42 km from the marathon will be released, while at 4:30 a.m. there will be the turn for the competitors running the 10-km distance. The start and finish line will be right in front the main entrance of the Tamarindo Diriá hotel, where participants will have a special “carbo-loading” dinner full of pasta the previous night. This famous marathon of the Tamarindo beach will count on the presence of the best national athletes, as well as some many foreigner athletes, mainly coming from the United States in this edition. It is expected that the majority of international athletes will make their arrival to the country directly through the Daniel Oduber International Aiport, located in Liberia Costa Rica to short the distances from the capital city San José. If you are planning to run in our beautiful country this weekend or if you have experienced Tamarindo’s vibe, leave us a message down here, to encourage other to travel to Costa Rica! We will appreciate it a lot!